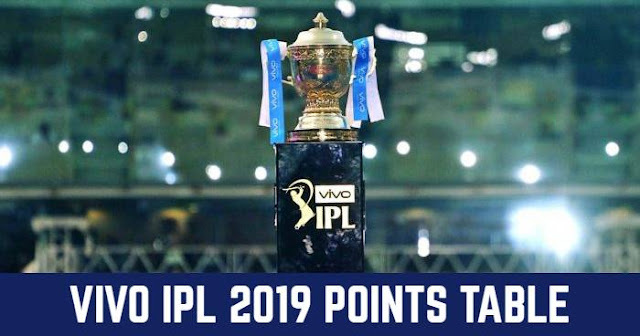 The 11th season of Indian Premier League (IPL 2018) is starting from 7th April 2018, and Mumbai Indians will play opening match against Chennai Super Kings at their home ground Wankhede Stadium, Mumbai. 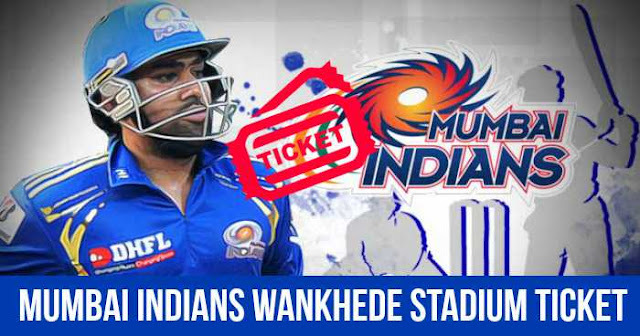 Ticket booking for the home matches of Mumbai Indians Wankhede Stadium has started. 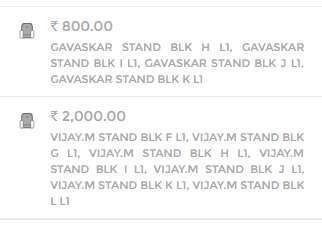 Booking for Wankhede Stadium tickets are on BookMyShow. 14th April match between Mumbai Indians (MI) and Delhi Daredevils is dedicated to Reliance Foundation Education and Sports for All (EFA) and Mumbai Indians reserve the entire Wankhede stadium for its NGO partner’s underprivileged children, so the booking will not be allowed for this match. Mumbai Indians have also made special provisions for their fans with physical impairments, reserving the front two rows of Vijay Merchant Block L level 1 for the special Paltan to enjoy live games. The facility is modified such that wheelchairs are easily accessible, and the seating is available in pairs for fans with mobility impairment and his/her companion. 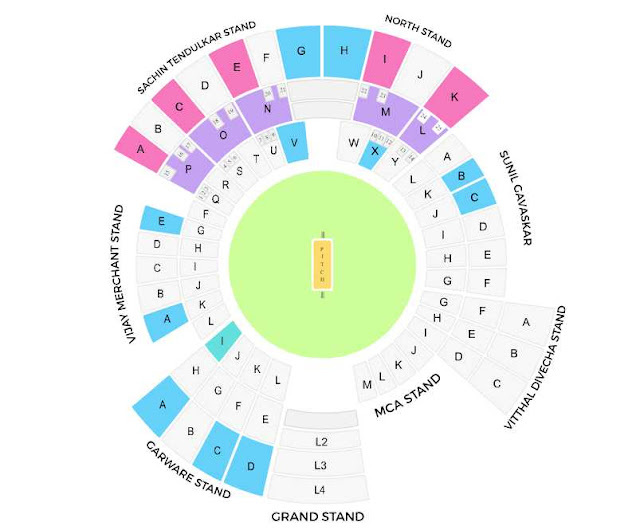 The tickets will be available only at the Stadium Box Office in limited numbers on first come first served basis and you will be required to carry your own wheelchair. The tickets will be issued after you produce the disability certificate at the Stadium Box Office at Near Gate No. 2 Box Office (Ticket Counter) from 28th March onwards, 10 am to 6 pm. 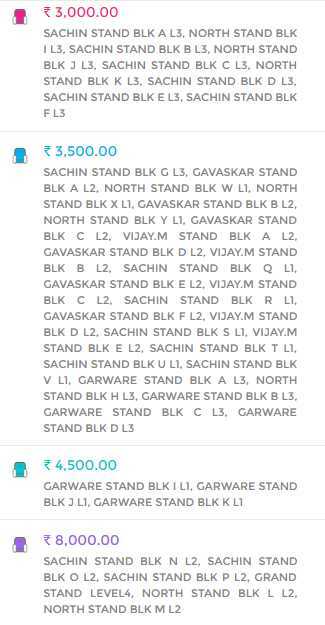 Tickets for Wankhede Stadium are priced between Rs 800 to Rs 8000. Tickets are priced at Rs 800, Rs 2000, Rs 3000, Rs 3500, Rs 4500 and Rs 8000.